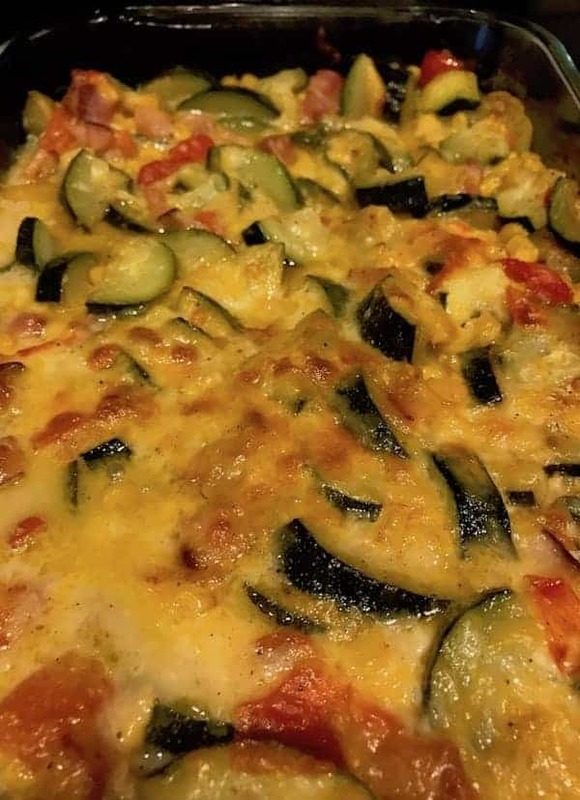 Cheesy zucchini ham bake is a delicious one-dish meal. In addition to having the vegetables, you’ll get protein from the ham and minerals from the cheese and milk. It’s also super easy to prepare. I typically purchase zucchini when I go to the grocery store, even when I don’t have a dish in mind. Not only is it packed with essential nutrients but it is also an extremely versatile vegetable. 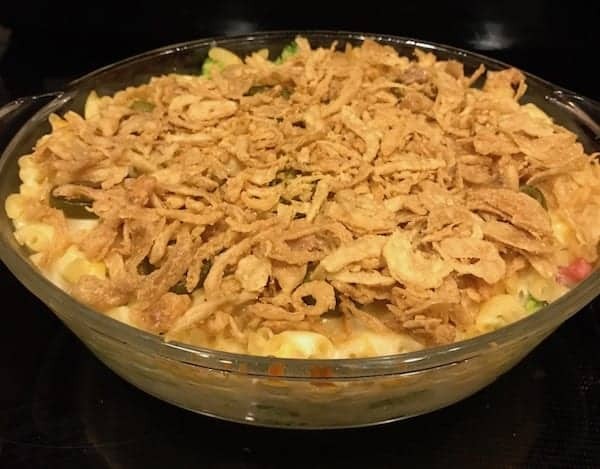 For example, you can create a Mexican-flavored dish like the zucchini boat. Another way to prepare the same basic dish is to use Italian seasonings instead of salsa. 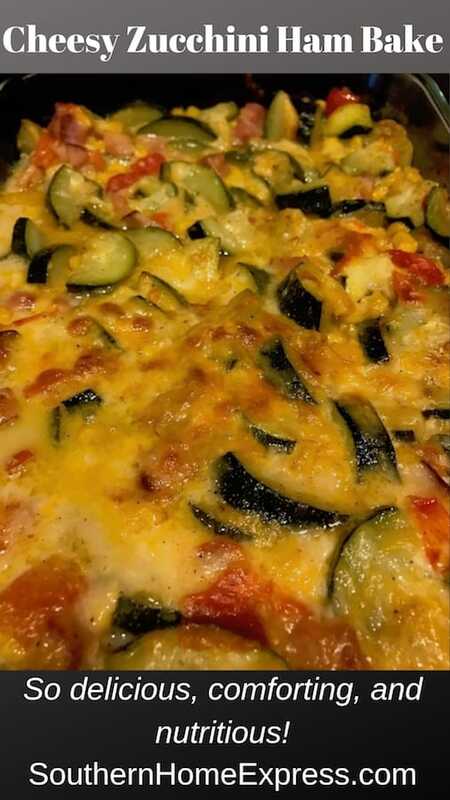 Zucchini can be steamed, baked, broiled, fried, and used in casseroles. Regardless of how you prepare it, you’ll still get the vitamins that you need. You can also cut it into spirals to use in place of spaghetti or slice it lengthwise to replace lasagna. It provides quite a bit more nutrition while keeping the calorie count down. When my children were small, I used to steam large batches of zucchini. Next, I’d run it through the food processor to pulverize it. Afterward, I poured it into ice cube trays, froze it, and stored it in zip-lock bags. 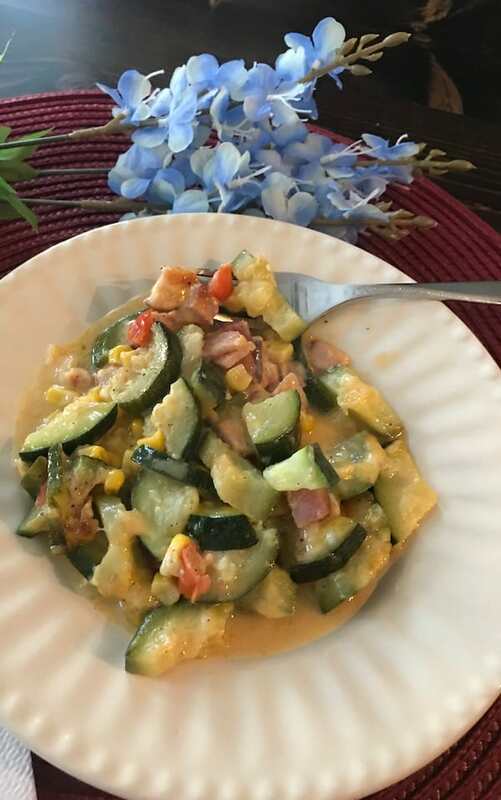 When I made muffins, cookies, sauces, and stews, I would toss a couple of frozen zucchini cubes into the mixture. Surprisingly, no one ever caught on. This may sound sneaky to you. But I don’t see anything wrong with adding nutrition to my family’s meals. As is the case with most vegetables, zucchini has quite a few vitamins. It also provides fiber, antioxidants, and some of the minerals you need to stay healthy. This dish provides a complete meal since the ham has protein and the cheese is packed with calcium. 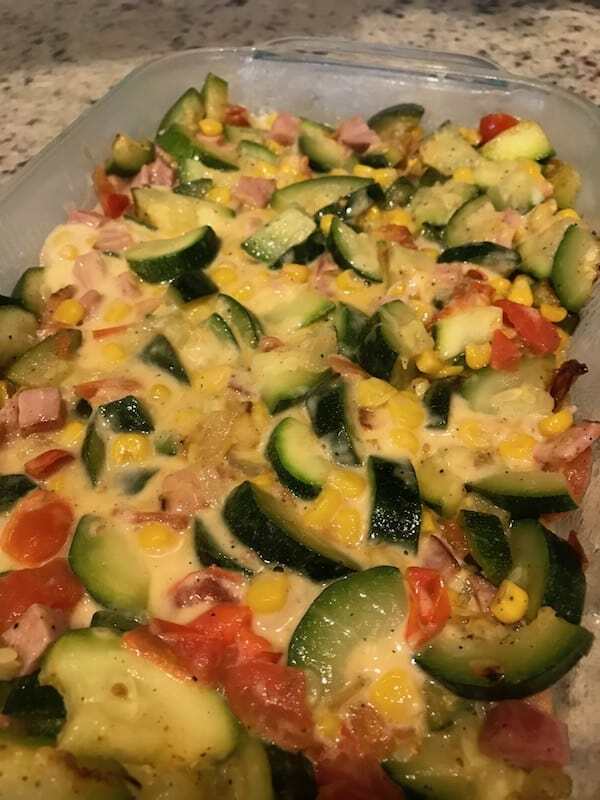 This dish has zucchini, corn, ham, tomatoes, onions, cheese, milk, and nutmeg. When I’m in the mood for something spicy (which is often), I add jalapeno peppers. You can also add salt and pepper if you want additional seasoning. First, sauté the onions until they become translucent. Next, add the cut-up zucchini and diced tomatoes. Add the ham and corn to the skillet. Stir and continue cooking until everything in the skillet is hot. Now is the time to add the jalapeno peppers if you want them. 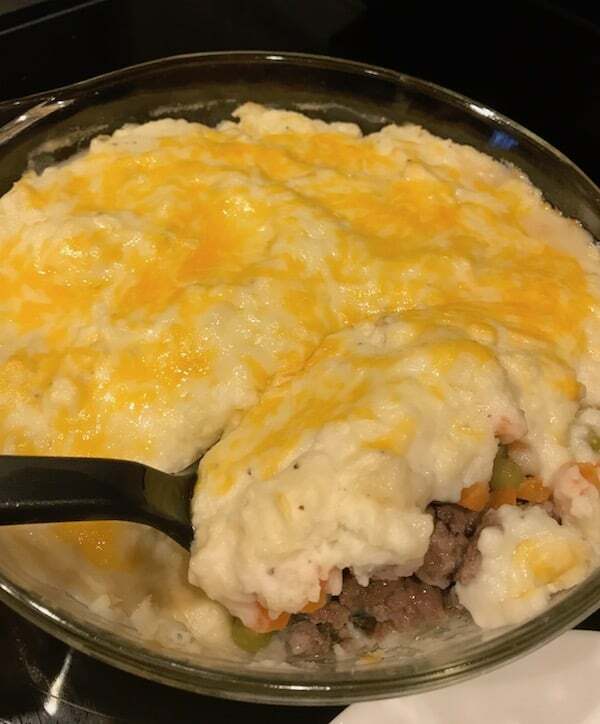 After the mixture is hot and the vegetables are fully cooked, pour them into a greased casserole dish. Combine the milk with some of the cheese in a saucepan. Heat it until the cheese melts. Add nutmeg, salt, and pepper, stirring constantly. After the cheese mixture starts to bubble, pour it over the vegetables and ham. Sprinkle the remaining cheese over everything. Bake until the top is golden brown. This is such a delicious dish you might wind up putting it in your regular dinner rotation. At least it’s something you can feel good about feeding your family. If you’re not familiar with zucchini, you probably have some questions. That’s fine because it’s always better to have more information about what you eat. How Can You Tell a Good Zucchini? The best zucchini has firm, smooth skin and is heavy for the size. You don’t want one with shriveled skin because that typically means it’s not fresh. Although most people cook it as a vegetable, it is botanically a fruit. Regardless, it is delicious and packs a powerful nutritional punch. Does Zucchini Need to Be Refrigerated? Ideally, you should store zucchini in a plastic bag in the crisper section of the refrigerator. Use it within four days or before it begins to shrivel. This delicious cheesy zucchini ham bake is delicious, nutritious, and oh-so satisfying. The whole family will enjoy eating their vegetables. Preheat oven to 375 degrees. Spray a medium casserole dish with nonstick cooking spray. In a large skillet, sauté the onions until they are translucent. 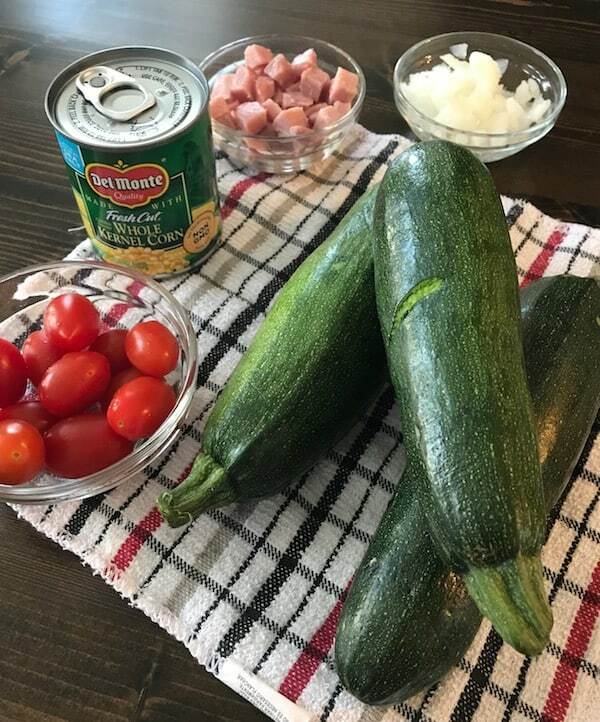 Add the zucchini and tomatoes. Continue cooking until the zucchini is tender. 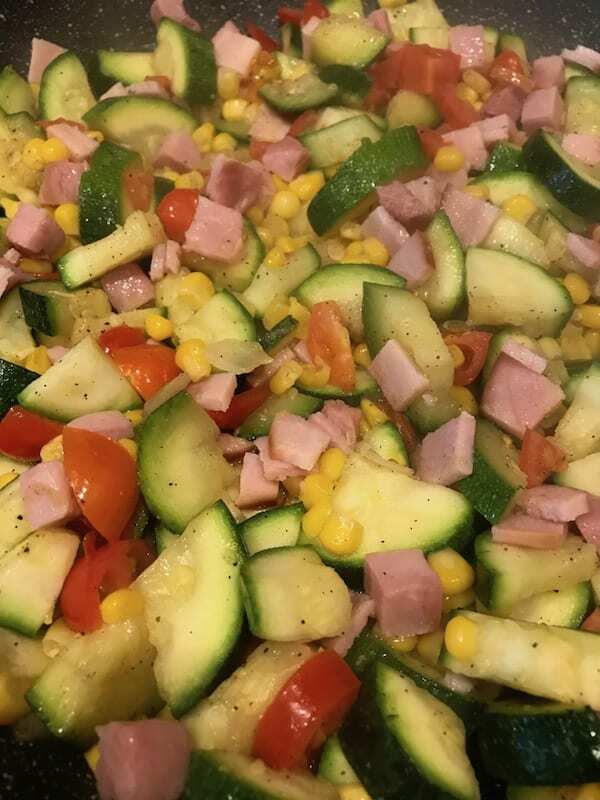 Add the ham and corn. In a small saucepan, heat the milk on medium until it begins to bubble. Add 2/3 cup of cheese and nutmeg and stir until well mixed. Salt and pepper to taste. Pour the milk and cheese over the mixture in the casserole dish. 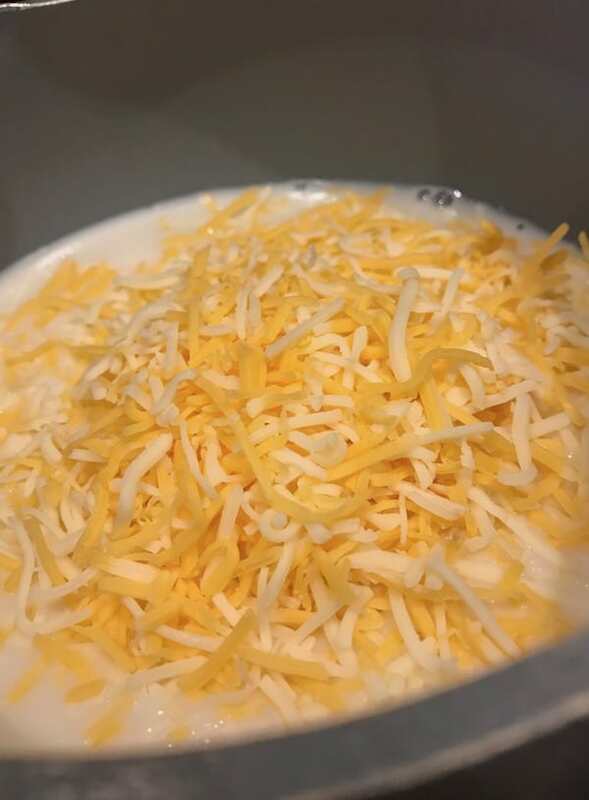 Sprinkle the last 1/3 cup of cheese on top. Bake for approximately 20 minutes, until the top turns golden brown. If you like the cheesy zucchini ham bake, you’ll enjoy this mac-and-cheese with ham casserole and this shepherd’s pie. These dishes are both comforting and nutritious. In other words, they’ll become family favorites as well.